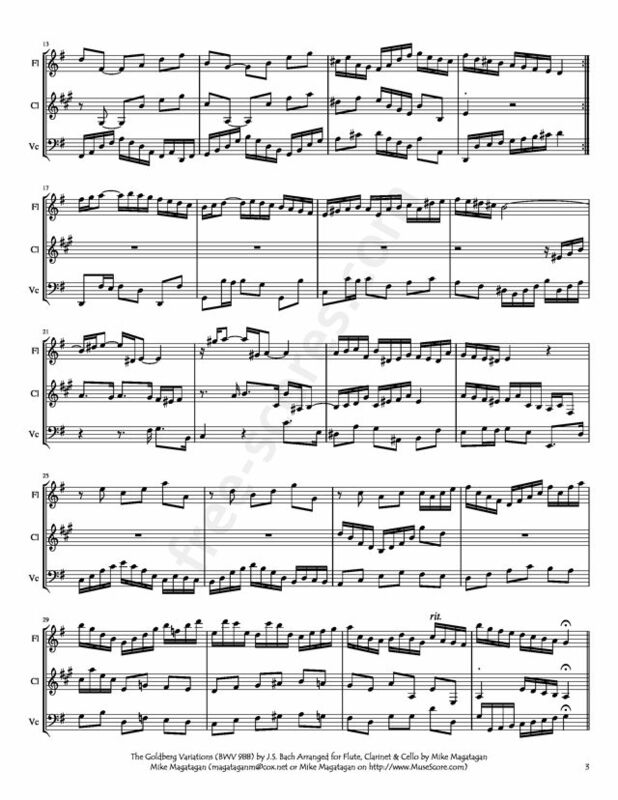 The Goldberg Variations (BWV 988) is a work written for harpsichord by Johann Sebastian Bach, consisting of an aria and a set of 30 variations. 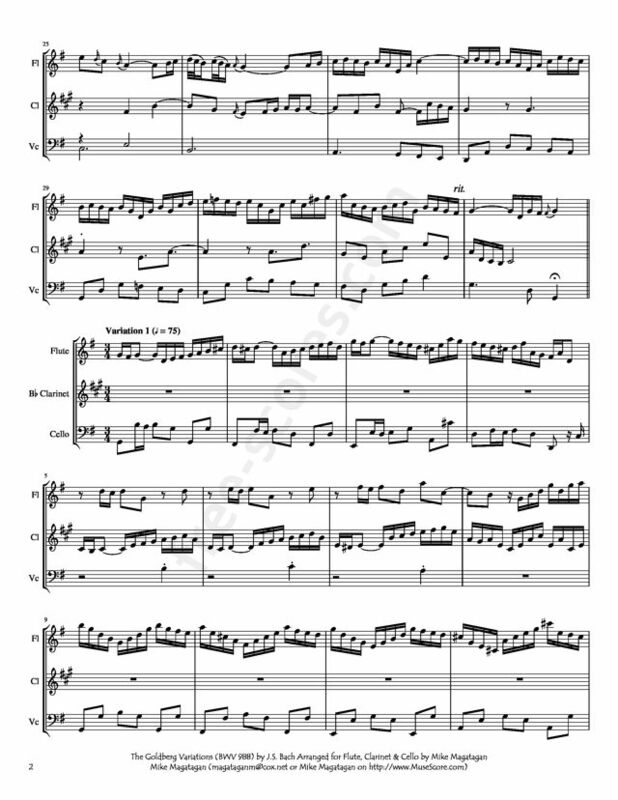 First published in 1741, the work is considered to be one of the most important examples of variation form. The Variations are named after Johann Gottlieb Goldberg, who may have been the first performer. Rather unusually for Bach's works, the Goldberg Variations were published in his own lifetime, in 1741. The publisher was Bach's friend Balthasar Schmid of Nuremberg. Schmid printed the work by making engraved copper plates (rather than using movable type); thus the notes of the first edition are in Schmid's own handwriting. It is difficult to believe that Bach would have published a commissioned work without any dedication to either Keyserlingk or Goldberg, which makes the story doubtful, along with the fact that Goldberg was only 14 at the time. Goldberg, however, was a renowned prodigy, and there are links between Bach and Keyserlingk. 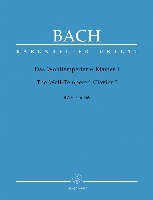 Bach may have given Keyserlingk a copy of the printed edition and received a reward for it. The aria which is the subject of the variations is an original creation, an elegantly serene sarabande which contains everything Bach needs for a vast universe of variation. 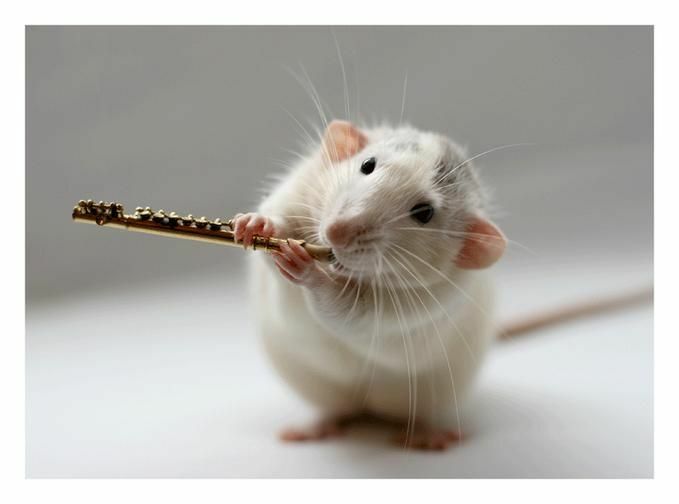 Do not listen for that exquisite tune in the variations, however. Only some unifying cadential phrasing survives Bach’s transformations, which are based on the aria’s architecture and harmonic pattern, particularly the bass line, making the Goldberg Variations a sort of mega passacaglia or chaconne. The work consists of an aria (sarabande) in 3/4 time, and features a heavily ornamented melody followed by 30 variations. Although originally written for Harpsichord. 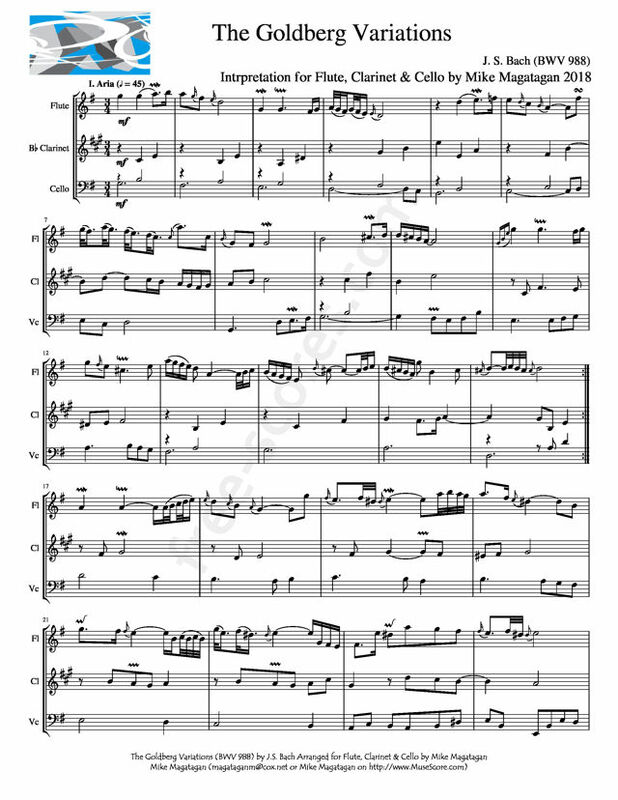 I created this Interpretation of the Goldberg Variations (BWV 988) for Flute, Bb Clarinet & Cello.